Gil is "really the whole package. He is organized and focuses on winning the cases." 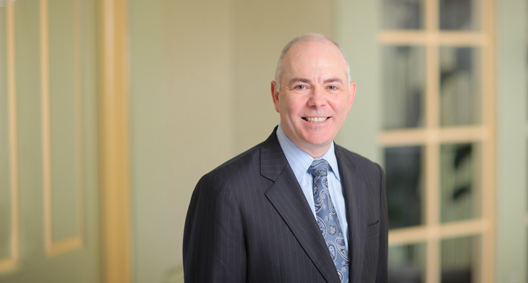 The chair of BakerHostetler’s Commercial Litigation practice team, Gil Keteltas is a trial lawyer with more than 25 years of experience litigating complex commercial, tort and government enforcement disputes on behalf of national and international corporations. Recognized by the National Law Journal as a 2016 Litigation Trailblazer for innovative trial advocacy, Gil’s experience spans practice areas and industries. He has advocated in courtrooms across the country on behalf of manufacturers, engineers, hospitality companies, agricultural cooperatives and farmers, and has served as trial counsel in jury and bench trials. Gil also is experienced in coordinating and leading the defense of multi-jurisdictional, multi-party disputes – including disputes involving a mix of government and private plaintiffs – and in developing and implementing litigation risk-reduction strategies before litigation is filed. Gil’s national trial practice benefits from his experience in electronic discovery. He brings a practical approach to e-discovery that recognizes the importance of focused advocacy in addressing the burdens, costs and opportunities of discovery in modern complex litigation. Clients and peers recognize Gil as “a notable electronic discovery expert with significant trial experience” (Chambers USA 2018). Counsel to multiple hospitality companies in litigation and enforcement actions arising out of data breaches. Secured voluntary dismissal of a class action brought by issuing banks against one client, negotiated a favorable mediated resolution of a consumer class action brought against another and is actively involved in a regulatory enforcement investigation involving a third. Lead counsel to the growers and processors of more than half of the nation’s domestically grown sugar in multiple lawsuits, defending his client’s ability to plant, harvest and process biotech sugarbeets. Directly sued opposing food advocacy groups through use of the Declaratory Judgment Act. Developed and implemented a trial strategy that challenged the credibility of opposing claims and exposed the absence of injury to plaintiffs, ultimately voiding injunctive remedies. Center for Food Safety, et al. v. Vilsack, et al. Led client and joint defense in six consolidated multi-plaintiff tort actions brought by New York City transit workers alleging injuries from diesel exhaust exposure in enclosed transit terminals. Won dismissal of all claims on federal pre-emption grounds. In re Jackson, et al. v. General Motors Corp., et al. Assisted a client in defense and resolution of an industrywide investigation and government enforcement dispute concerning the regulation of engines, which remains one of the largest government enforcement efforts in history. Led client and industry joint defense of multiple follow-on lawsuits alleging claims of unfair business practices, breach of contract and warranty, and violations of the RICO statute. United States v. Caterpillar Inc., et al. Exposed a competitor’s role in secretly funding a citizen suit against a client. The suit ended on the eve of the preliminary injunction trial after citizens unsuccessfully sought to withdraw their own preliminary injunction motion. Pennsylvania Environmental Enforcement Project, Inc. v. Keystone Cement Co.
Co-leader of a nationwide team that managed a national litigation docket involving more than 100 active cases. Developed and utilized cutting-edge case management and litigation budgeting tools. Unocal National Litigation Docket (See American Lawyer, “The Fix Is In,” Nov. 1, 2005). 2016 “Top 50 Verdict,” National Law Journal’s Elite Trial Lawyer’ report. Gil Keteltas Leads National Panel in Discussion of "Discovery on Discovery"
Cornell Club of Washington, D.C. Represented a client in an issue related to denial of Social Security and disability benefits. Examined a vocational expert at appeal before an administrative law judge and won appeal of denial of benefits. Worked with a neighborhood association to fight an open-air drug market using a nuisance law. Resulted in closure of a “problem” business property following a contested DCRA hearing and license revocation.